Aamir Khan, one of India's finest actors, recently took to his Facebook and wrote. 'Am most upset that I am not in the country and will miss watching Jagga Jasoos. Have been looking forward to the film for so long! Good luck guys !!!'. The actor has consistently shown interest in promoting quality films. Jagga Jasoos is an experimental film and Aamir Khan wanting to watch the film is no surprise. We also hear that Aamir Khan took a short break yesterday during the weekend from his ongoing shoot to watch Jagga Jasoos. The actor is yet to comment on the film. We are sure Aamir Khan would soon talk about the film in his official social blog. On the other hand, Jagga Jasoos won the critic, and also the fans. The film is said to have minted a whopping Rs. 33 crores in its first weekend. 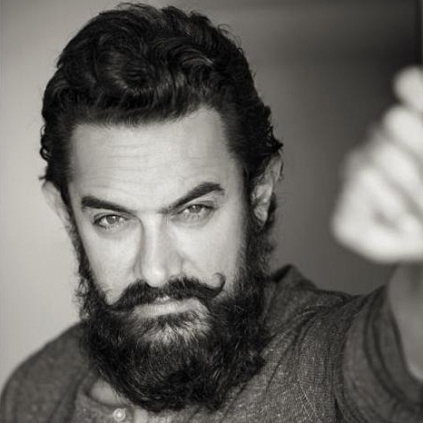 ‘Aamir Khan’s post not spell-checked’. People looking for online information on Aamir Khan, Jagga Jasoos, Katrina Kaif, Ranbir Kapoor will find this news story useful.